Dr. Solafa Elshatanoufy is board certified in obstetrics and gynecology, and board eligible in female pelvic medicine and reconstructive surgery. Practicing since 2010, her experience, knowledge and personable nature allows her to offer individualized treatment plans for each patient. Dr. Elshatanoufy treats patients age 18 and older. 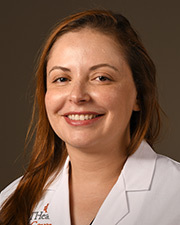 She is a member of the American Urogynecologic Society, the American Congress of Obstetrics and Gynecology, and the American Medical Association. In her spare time, Dr. Elshatanoufy enjoys traveling, yoga and spending time with her daughter.